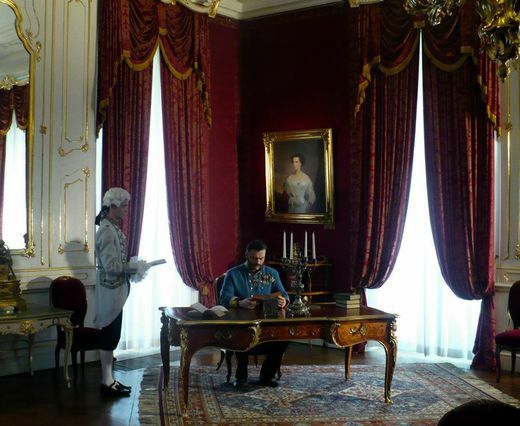 In Gödöllő (The Land of Queen Elisabeth), Franz Joseph’s suite was on the one side of the banquet hall, Elisabeth’s one was on the other one, which was closer to the stable and was much sunnier. 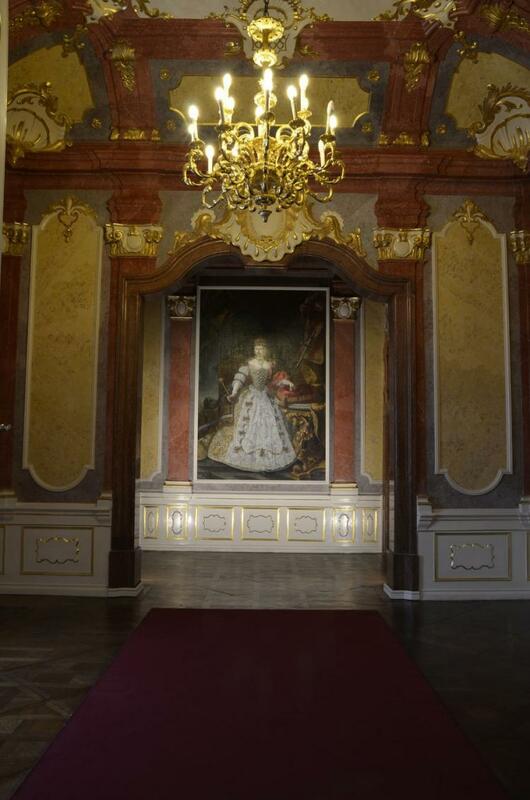 Empress and Queen Maria Theresia (1717-1780) was invited to the palace by the first builder and owner, Count Antal Grassalkovich I (1694-1761), who had been conferred a title of a count by the Queen. He had a guest room built for her Majesty’s few day’s stay. 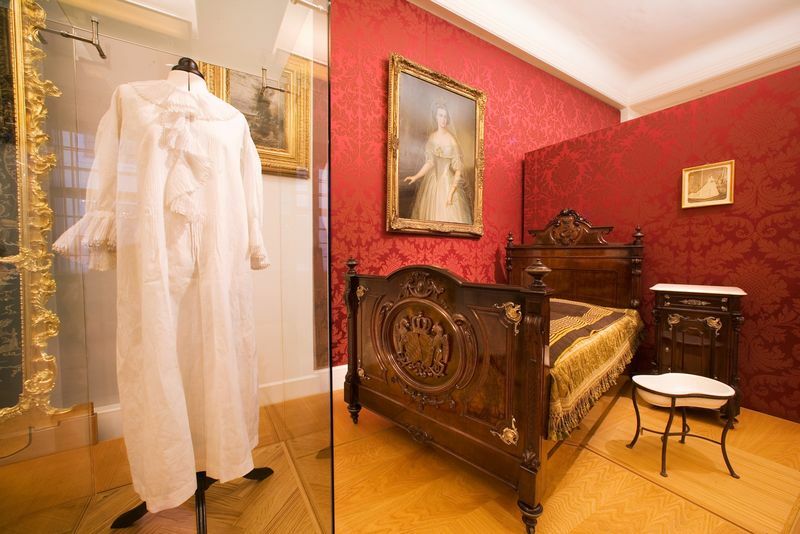 Sisi used the former guest room of Maria Theresia as a bedroom. 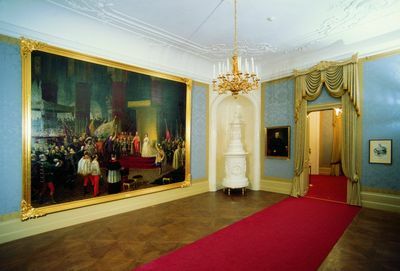 The Queen’s floor suite consisted of four rooms, and a private staircase, which led to the three ground-floor saloons. 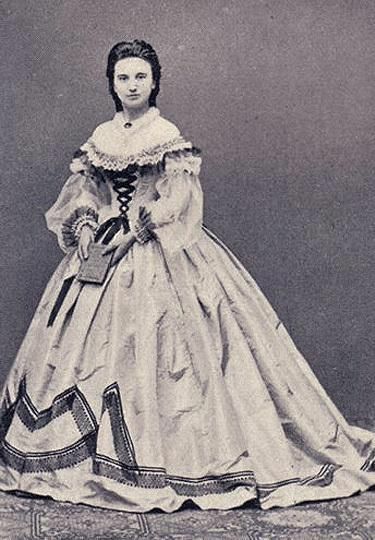 Ida Ferenczy from Kecskemét (a country town on the Great Plain of Hungary) came from a gentry family - she belonged to the nobility but not to the upper class, however, Elisabeth had chosen her as a “reader woman” or a conversationalist (something like a lady-in-waiting but due to her “low” origin, she could not be that legally and was conferred the title of the Queen’s reader woman) in 1863. Ida became Sisi’s confidant and best friend in quite a short time. They changed many letters in Hungarian, one can read some of them in the book of Mária Tolnay Kiss “Kedves Idám – Leveleskönyv”, in English: My Dear Ida – A Letter Book. Unfortunately, it has only been published in Hungarian (it can be bought in the Royal Palace of Gödöllő. 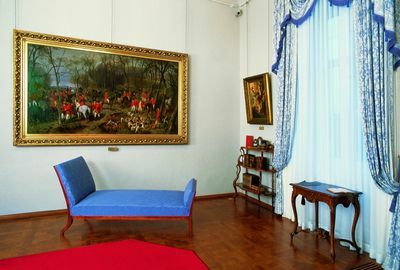 In Gödöllő, the two rooms of Ida were located right next to the Queen’s suite. 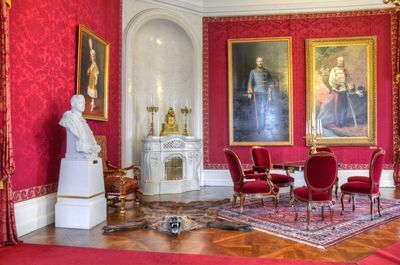 Needless to say, in the Viennese Hofburg and Schönbrunn Palace it would not have been possible because of the etiquette since Ida came “only” from a gentry family. 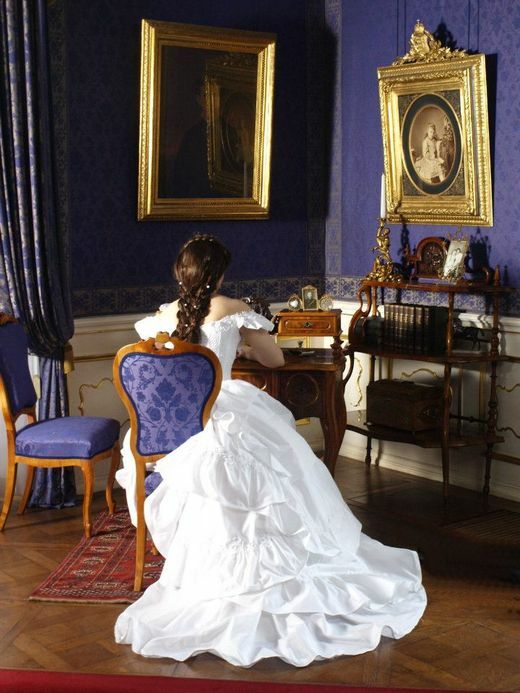 Of course, it also shows that in Gödöllő, everything could be done the way Elisabeth wanted. 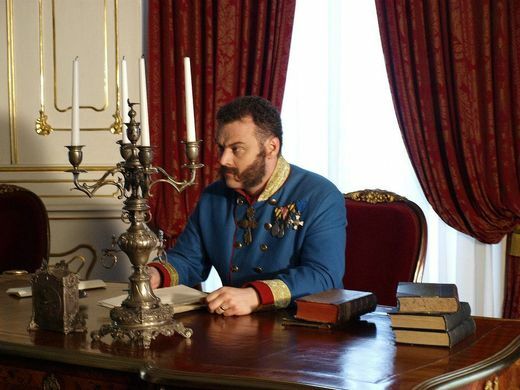 In Gödöllő, Franz Joseph’s daily routine was quite similar to the Viennese one: he got up at four at dawn - five in winter - then after having been shaved, he had a modest breakfast. 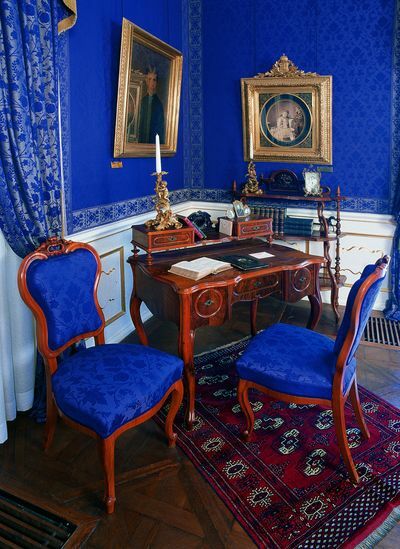 Then he began the work at his study. If he did not have breakfast in the small family dining room, he had brunch at one o'clock (usually while working), which was followed by a 30-minute walk. The average weekday lunch was usually beefsteak or other kind of meat, which was also often consumed at his desk while he was working. 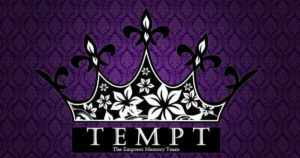 He regarded himself the first clerk of the monarchy and felt working as an obligation. He was working even on the day of his death. After dinner, he spent one or two hours with his family or his guests and usually went to bed at eight o'clock. One can state that a typical day of the king was quite bleak. 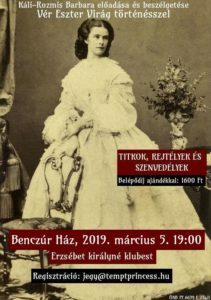 In Gödöllő, Elisabeth’s daily routine was the following: She got up at six or seven o'clock in the morning, which was followed by grooming, her daily exercises and a bath (she had a daily bath). After that her several-hour long combing and dressing session came. Then she went riding or walking. 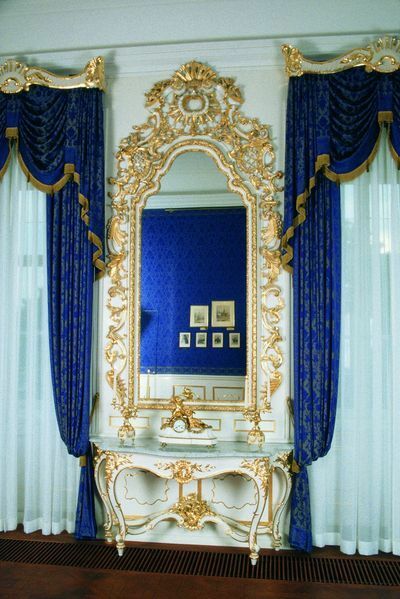 Read more: Empress Sisi’s Beautifying Baths. After having returned, she had a modest meal and read for a while. She especially loved Heinrich Heine's poetry and the works of the following Hungarian writers: János Arany, József Eötvös, Mór Jókai, Mihály Horváth and Sándor Petőfi, whose works were her most common readings. When she was older and could not ride a horse due to her joint problems, she went for larger walks. She was walking so fast that it was hard to keep up with her even to her secret guards, whose task was watching and protecting Her Majesty, of course, Sisi was not always aware of their presence, and she tried to get rid of them as many times as it was possible so the guards had difficulties to cope with in duty. She only returned to the dinner when the family ate together. 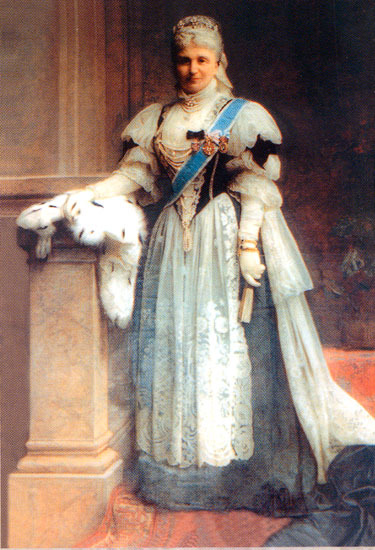 The suites of the royal children were located in the so called “Gisela-wing”: Crown Prince Rudolf, Archduchess Gisela, the latter one’s suite later became the one of the youngest child, Archduchess Marie Valerie, the “Hungarian Princess”. 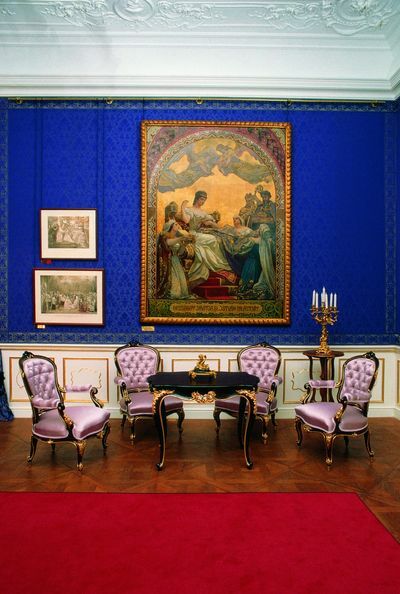 In Vienna, the suites of Sisi’s three other children (Sophie, who died of dysentery at the age of two in Buda, Hungary, Gisela and Rudolf) were placed next to Archduchess Sophie’s one. In Hofburg, Sisi had to take a long walk and climb stairs in order to see her own children, however, she could not visit them at any time (Read more: Sisi as a young wife and mother)! The length and the time of her visits were strictly regulated by her mother-in-law. Elisabeth was travelling for longer or shorter time usually without her husband and she was rarely allowed to take her children with herself. Sometimes when she returned her little ones did not even recognise her.